Your windows are some of the most important components of your home. They can influence everything from the ambiance of your rooms to the way your home consumes energy. The right choice in windows can even increase the value of your home. Vinyl windows come in a large variety of styles and colors. You can create any look you like for your home or business. You can even mimic the look of wood or of antique designs, which is especially useful if you are restoring a property. 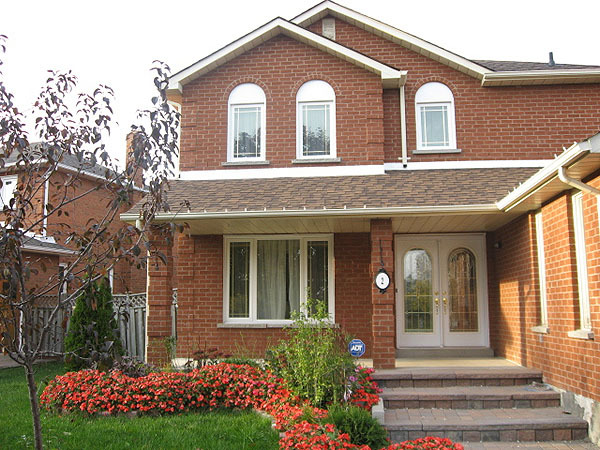 Replacing your windows can make a dramatic change to the look of your property. Sometimes, simply replacing your windows may be all you need to do to get a whole new look. With a modern, stylish design, you can improve the value of your property. No one likes to have to keep up with property maintenance. The checklist just seems to grow and grow, and you never seem to make a dent in it. Vinyl windows can help you take one thing off your list because they require hardly any maintenance. You don't have to reseal or repaint them, and they won't warp or rust. The reduced maintenance will be an attractive feature to potential homebuyers, which will increase the value of the property. The biggest advantage of vinyl windows, by far, is that they improve your home's energy efficiency. The superior construction and high quality materials help to keep warm air out during the summer and to keep it in during the winter. Your heating and cooling system won't have to work as hard to maintain the temperature inside, which means that you'll spend less each month on energy costs. Those consistent savings will make the property very attractive to potential buyers. Whether you are selling a home or a business, the energy efficiency provided by vinyl windows will improve the value of the property. Whether you are thinking about selling your home or you just want to improve the value of your investment, replacing your windows with vinyl windows will help you add thousands to the potential selling price. Click here to check these window manufacturers in Edmonton and find some beautiful vinyl windows that can create the look you want for your home. You'll find many affordable options that can fit your budget. You may be surprised to learn what a seemingly simple change like new windows can do for your property.